Happy Thursday Team Stryker fans! We are just 10 days away from the release of Team Stryker Mission 004! Until then you’ll be treated to some Team Stryker inspired fan art from some very talented people. Today we have another amazing submission from my good buddy Max Dunbar. After Max and I graduated from art school we ended up living in different cities both working boring desk jobs. We spent our work days on MSN (anyone else remember MSN?!) talking about future plans for Team Stryker. As luck would have it a year later I landed a job as the lead artist on a privately funded video game project and later got Max a job working with me. We ended up splitting all the art duties 50/50 from concept art to character design and animation to level design. While Max and I were hard at work we always found time to talk about Team Stryker and our favorite group of rag tag super soldiers. If you want to check out Max’s extensive art portfolio head over to his Deviant Art account, or if you want to chat with the man himself, he is on Twitter @Max_Dunbar. 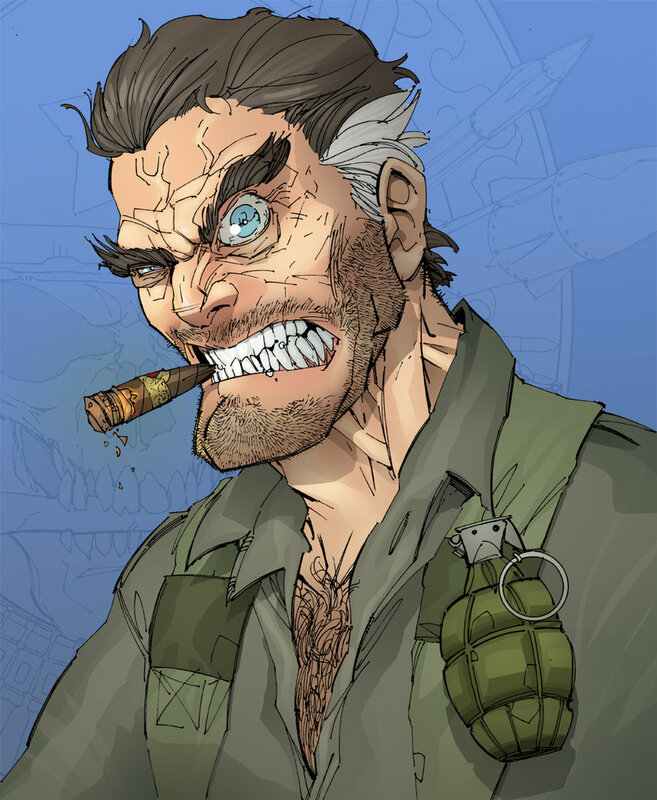 Just 10 more days to get in your Team Stryker fan art to andrew@teamstrykercomic.com! Have a great weekend and I’ll see you back here on Monday!